Santa Claus smiles brightly on this Christmas stationery design. He is surrounded by a red, white, and green candy cane border. 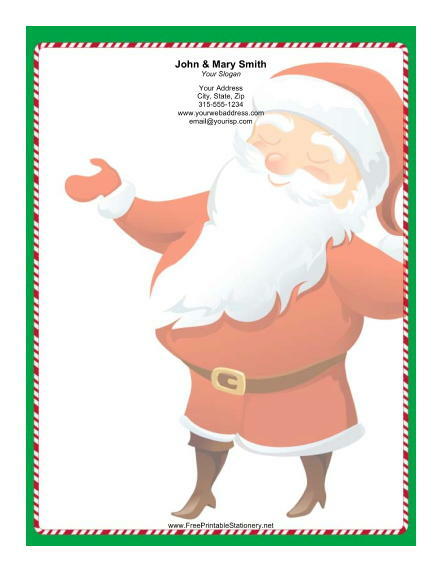 This cute Christmas paper is great for sending out quick holiday notes to your family.